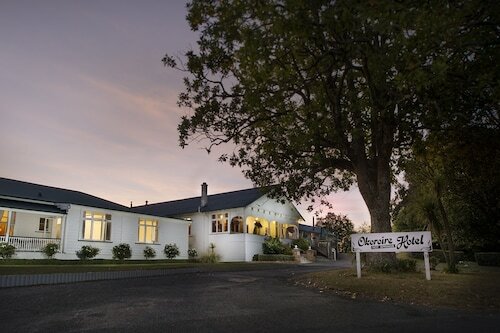 Situated in Matamata, this motel is 0.8 mi (1.2 km) from Founders Park and within 12 mi (20 km) of Hobbiton Movie Set and Lake Karapiro. Matamata Golf Club and Wairere Falls are also within 12 mi (20 km). 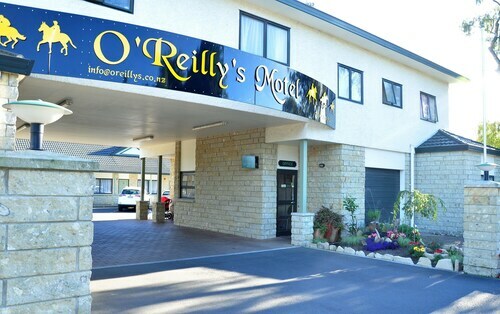 Situated in Matamata, this motel is 1.1 mi (1.8 km) from Founders Park and 3.1 mi (5 km) from Matamata Golf Club. Hobbiton Movie Set and Lake Karapiro are also within 12 mi (20 km). Situated in Matamata, this motel is 1.3 mi (2.1 km) from Founders Park and within 9 mi (15 km) of Hobbiton Movie Set and Matamata Golf Club. Lake Karapiro and Wairere Falls are also within 12 mi (20 km). 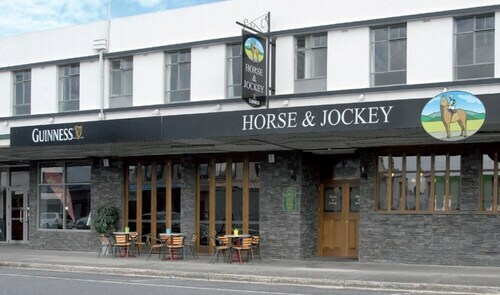 Situated in Matamata, this hotel is 0.1 mi (0.1 km) from Founders Park and within 12 mi (20 km) of Hobbiton Movie Set and Lake Karapiro. Matamata Golf Club and Wairere Falls are also within 12 mi (20 km). Situated in a rural location, this bed & breakfast is 5.6 mi (9 km) from Founders Park and 10.8 mi (17.3 km) from Matamata Golf Club. Hobbiton Movie Set and Wairere Falls are also within 16 mi (25 km). Matamata has always been known for its beautiful scenery, thoroughbred horses and dairy farming. However, these days, its better known for "Hobbiton", the set of the blockbuster Hollywood films The Lord of the Rings and The Hobbit. 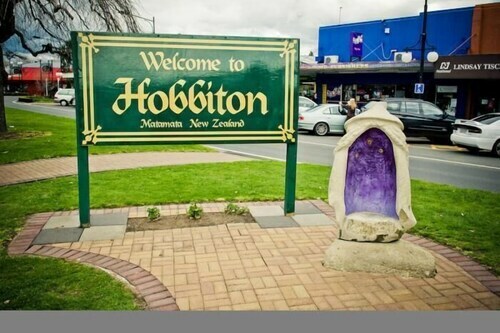 Stay in one of our Matamata hotels and find out what it's like to live in Middle Earth. While you're here, take a Hobbiton Movie Set Tour. These three-hour guided tours leave ten times daily, every day except Christmas Day, so you're just about guaranteed a spot. The Firth Tower Museum is another popular attraction in town. It was built in 1882 and the top of the tower offers some fantastic views of the countryside. The exhibits are fascinating and the museum's grounds themselves are really beautiful too. A few other scenic spots are the nearby Kaimai Ranges, the Opal Hot Springs and the Wairere Falls. If you're keen on bush walking, you can try the Centennial Drive Botanical Park Track or the Kaimai Summit 500-metre Loop Track. If you want to pick up some local produce, head to the Matamata Country Markets, on the second Saturday of every month. For some locally produced cheese, visit the Kaimai Cheese Cafe, which produces specialty cheeses. You can watch the cheese being made, have a coffee or a meal in the cafe and then purchase some yummy cheeses to take home. To get to Matamata, check out these cheap flights to Hamilton. Hamilton Airport is only about 60km away and the best way to get around Matamata is to hire a car at the airport. That way, you can explore some of the surrounding regions too. Tauranga is only 50km away and is the perfect base to explore the Bay of Plenty. What's more is that Rotorua, where you can take a dip in the geothermal mud baths, which are about 72km away. So wot are you waiting for! Book your flights and Matamata accommodation now! How Much is a Hotel Room in Matamata? 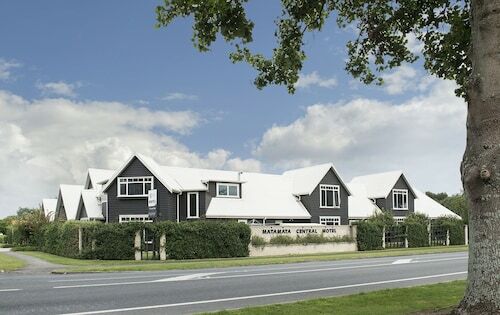 Hotels in Matamata start at NZ$74 per night. Prices and availability subject to change. Additional terms may apply. Nice motel that was very clean and well maintained. Enough room for our family, 2 x TVs, great spa bath and the whole place was really clean. Great value.